We have experience in sourcing this stuff, so anything we offer you should expect to be awesome. Steven is a graphic designer, and made things like the original Secret Squirrel patch. Expect more equipment and consumables to be added over time. All stickers and patches are currently in stock and are shipped shortly after you buy them. Free shipping within the US for all items you buy from us, but we're happy to send them out as a group, or to hold onto them and bring anything to the event for you as well. Show off your warrior wolf, or tell everyone at school, work or other events that you play with CWG. Sturdy printed vinyl, so flat not embossed, and not sewn. Black hook velcro on the back, so ready to stick to your uniform, pack or hat. Not allowed on the uniform at CWG events. Dress up your uniform and show your national pride! Allowed but not required for Kitoi soldiers only. Wear on the right shoulder where the flag or national insignia would normally go on your uniform. Only available to be sewn on. If your uniform has velcro, you will have to sew hook velcro to the patch. Show your unit pride and tell everyone you are with the 7th Company of the 4th Expeditionary Protective Area Brigade. 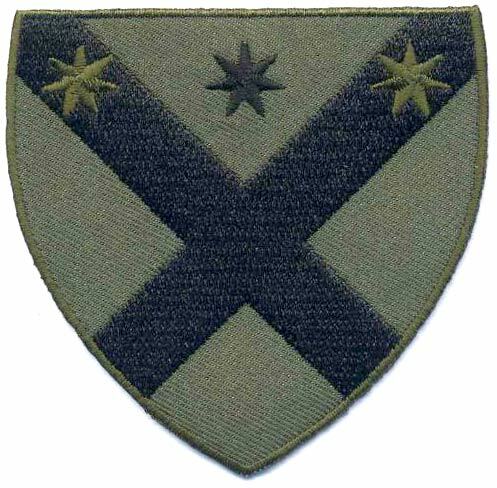 Sew this on the left shoulder of each uniform or coat. 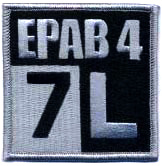 Allowed but not required for Kitoi troops in EPAB-4-7L only. Want to dress up some other equipment? Try this durable, outdoor grade, die cut vinyl sticker on your helmet, carrying cases, or the back of your car. 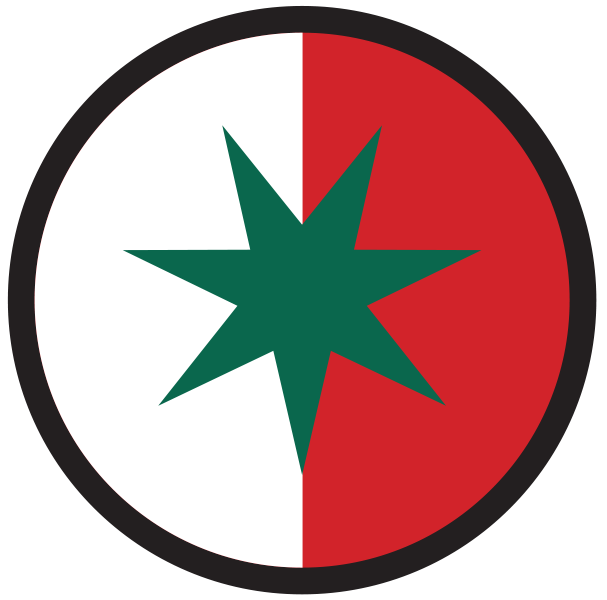 A roundel is a national symbol, an option for the flag which decends from heraldry, and is most often seen today on aircraft, but Kitoy also uses it to mark their vehicles, and in other places. Dress up your uniform and show your national pride! Allowed but not required for Ardean soldiers only. Wear on the right shoulder where the flag or national insignia would normally go on your uniform. Only available to be sewn on. 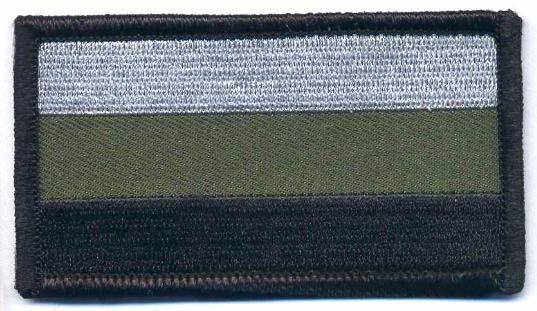 If your uniform has velcro, you will have to sew hook velcro to the patch. 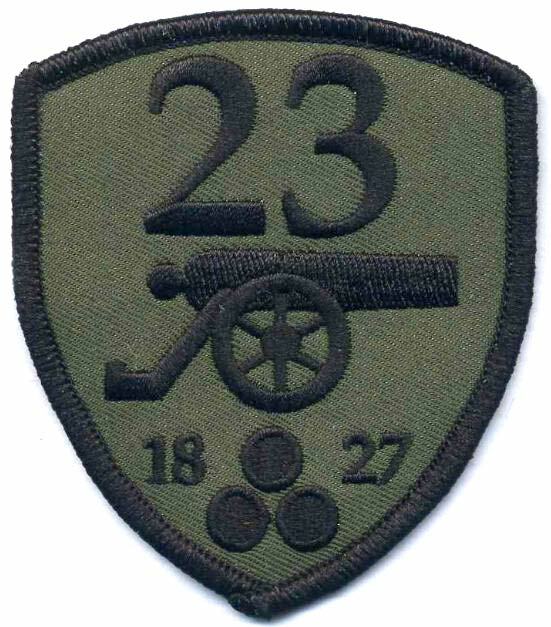 Show your unit pride and tell everyone you are with the 23rd Frontier Dragoon Guards (Plamenac Brigade). Sew this on the left shoulder of each uniform or coat. Allowed but not required for Adrean troops in the 23rd only. Want to dress up some other equipment? Try this durable, outdoor grade, die cut vinyl sticker on your helmet, carrying cases, or the back of your car. 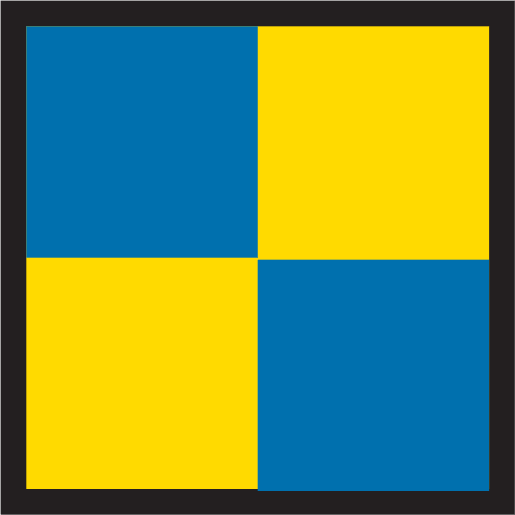 A roundel is a national symbol, an option for the flag which decends from heraldry, and is most often seen today on aircraft, but Ardea also uses it to mark their vehicles, and in other places.